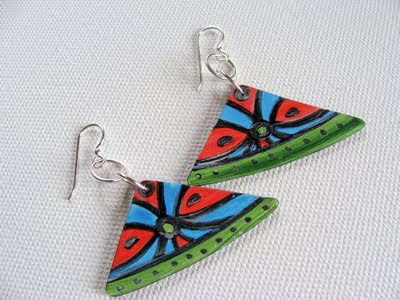 Hit Record Earrings - "Flower and Blue Sky"
New from Eye Pop Art: Hit Record Earrings with hand painted, original psychedelic designs! 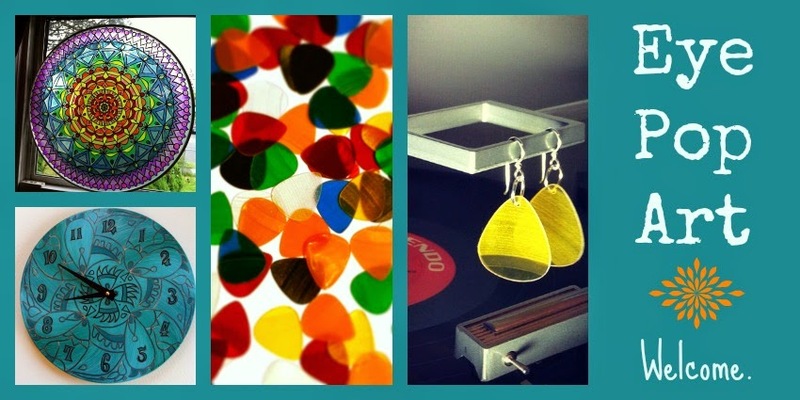 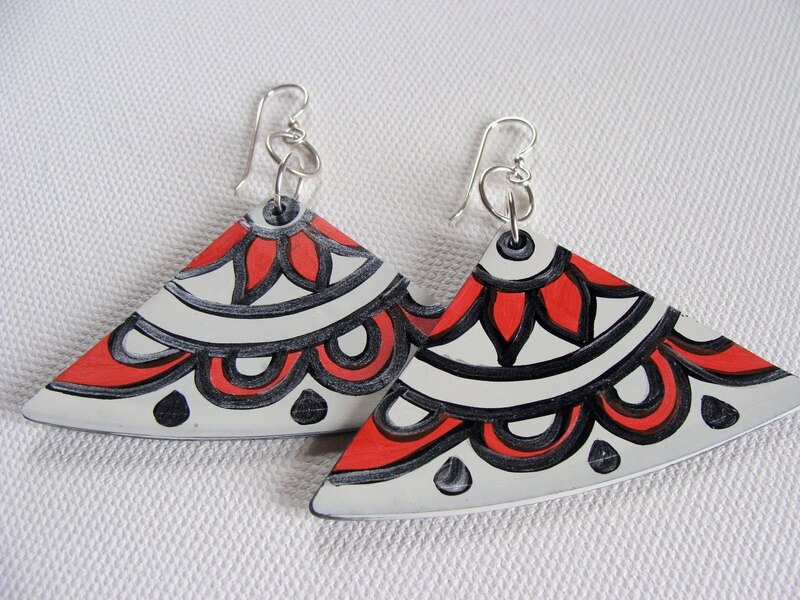 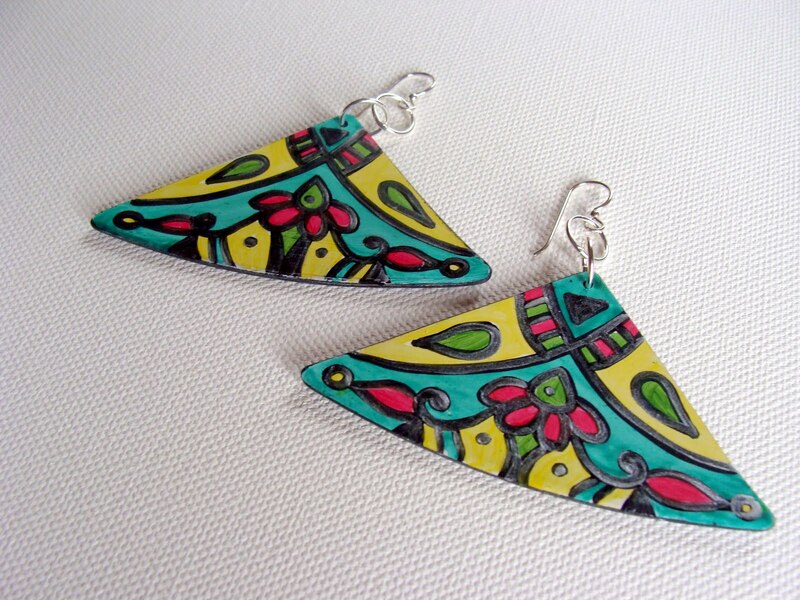 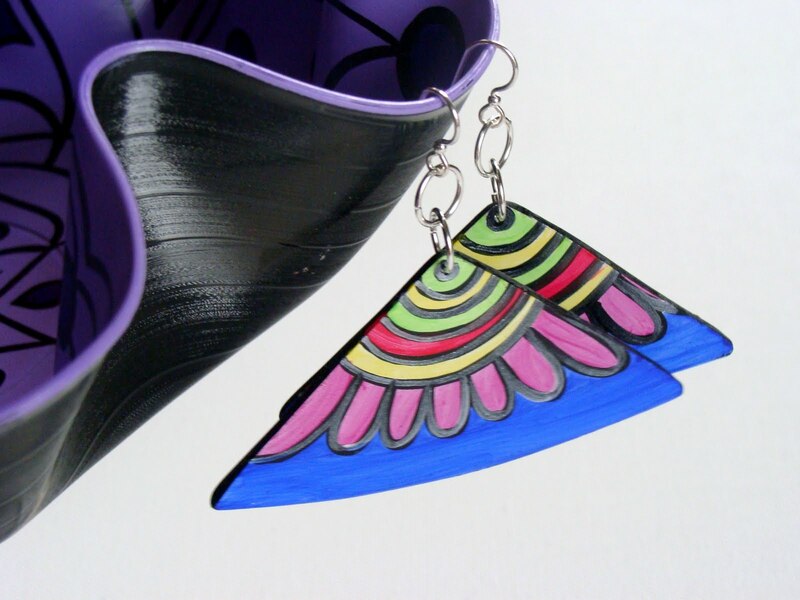 Hit Record Earrings - "Bohemian Style"
These earrings are handmade from triangle-shaped pieces of recycled vinyl records. These are pieces that are left over when I cut up records to make Roman Record Cuffs. 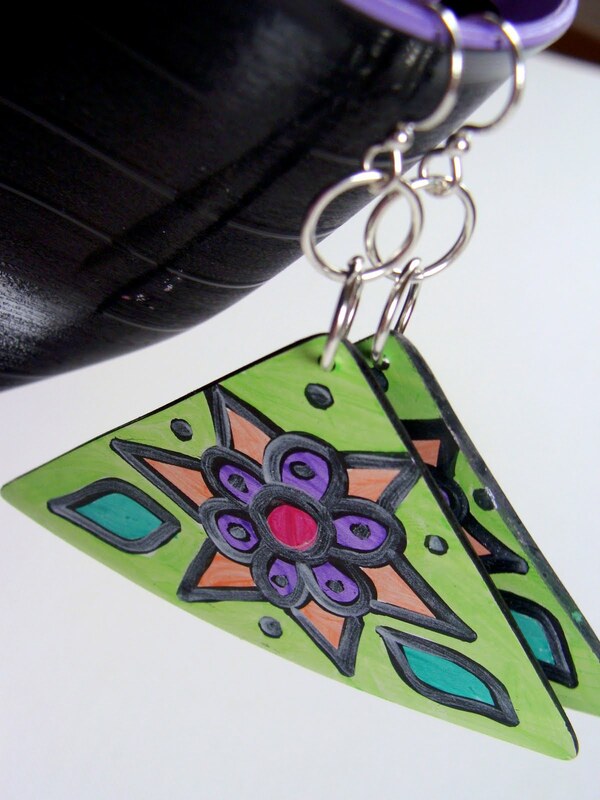 Over the years I've saved every scrap, and now I'm proud to introduce a new line of eye-popping jewelry for all the Eye Pop Art fans! Each piece is hand painted by me using acrylic paints in light washes of bright and pastel colors. Each painted pair is one-of-a-kind - there will never be another pair exactly like it! Hit Record Earrings - "Carnival"
Each design is outlined with a layer of iridescent silver which gives it a unique sparkly glint when viewed from different angles and in different lighting. The dramatic yet incredibly lightweight painted record "beads" vary from 1" - 1.75" in length, and from 2" to 3" wide at the widest point. 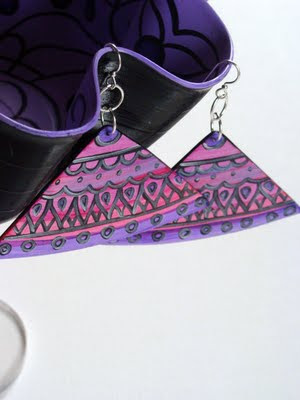 The larger styles are $32 each and the smaller ones are $25. 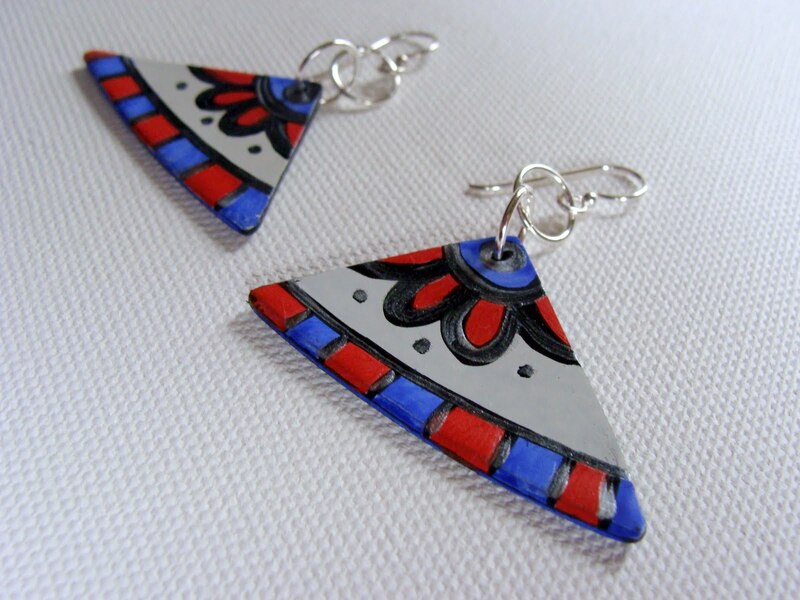 They are paired with high quality sterling silver jump rings and sterling silver ear wires. 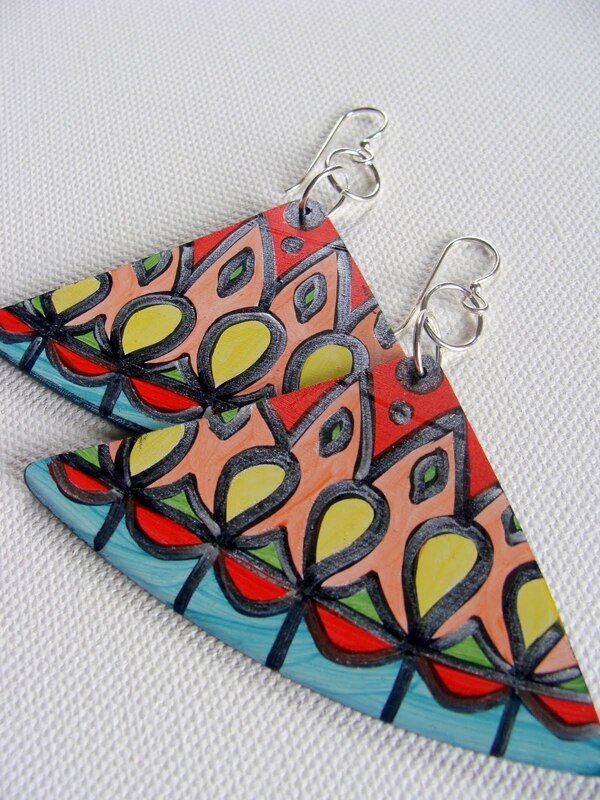 All edges have been carefully sanded and smoothed for your comfort. 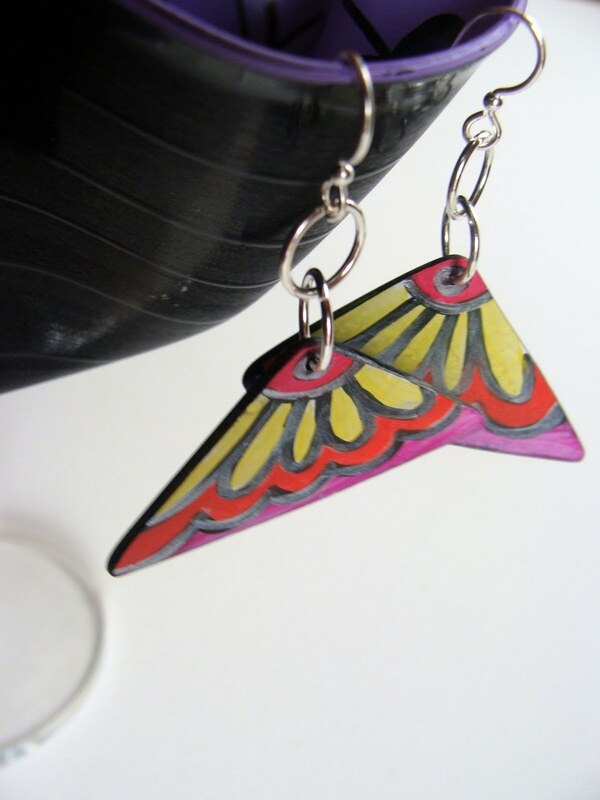 Hit Record Earrings - "Constantinople"
Hit Record Earrings - "Red Windmill"
Hit Record Earrings - "Green Starflower"
Hit Record Earrings - "Little Sunset"
A great gift for a DJ, record collector, musician, or anyone who appreciates eco-friendly fashion! 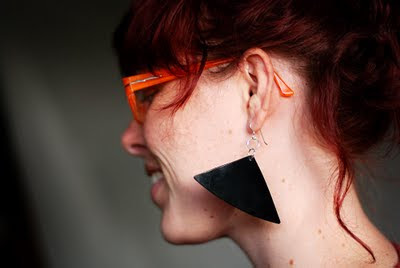 Let the music live on with Hit Record Earrings. 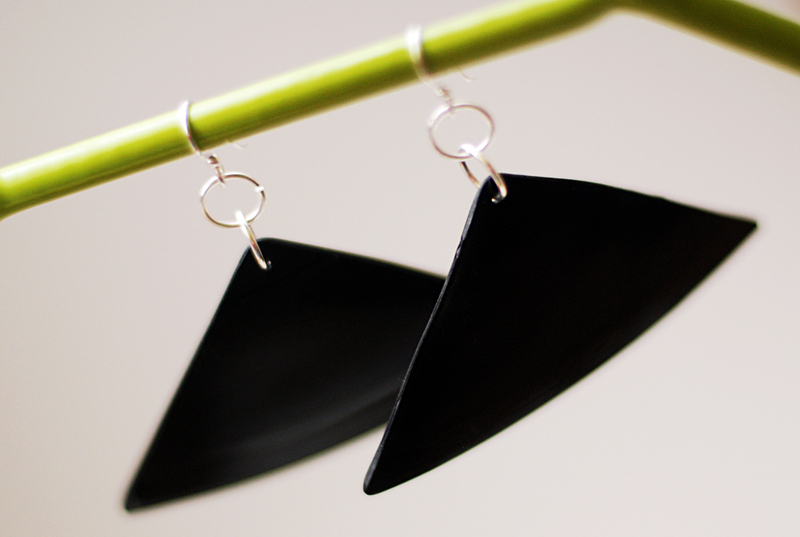 I wear the black ones ALL THE TIME! 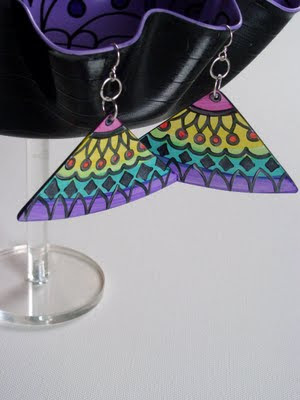 They also go great with my record cuffs. I hope you'll check out my earrings if you're looking for something truly different in the jewelry department - original, wearable, eco-friendly art that nobody else has!